When you decide that you going to make taking the LSAT the next step in your life, it’s a good time to take stock of your study habits. 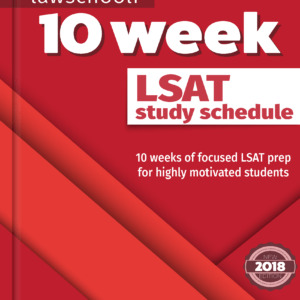 It takes most people A LOT of work to max out their score on the LSAT (click here for a full discussion of how long you should study). Don’t take the LSAT if you aren’t prepared to put in a good amount of effort. 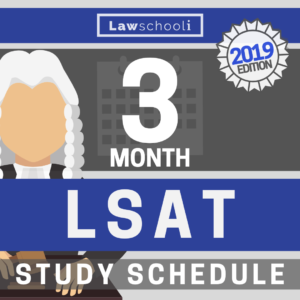 Experts including us typically recommend you study about 3 months to reach your full potential on the LSAT. This is moderate intensity study, meaning probably 2-5 hours a day of study 5-6 days a week for that whole 3 months. That’s the amount of study that got Josh and I into UChicago, and when I talk to people who went on to T14 schools, that’s the amount of work that just about all of them did. Copy this effort and you’ve got the best shot of success. That said, raw force isn’t enough to crack the LSAT. It’s going to help immensely if you are getting the most out of your prep time. With that in mind, we’ve got some tips on how to prep better for the LSAT. The tips here will help you avoid waking one day up mid-way through your prep and realizing you’ve been doing it wrong. That’s typical of advice you hear from people who are great LSAT takers but so-so (or just bad) LSAT tutors. They were so naturally good at the test they could start off with the timing component and do fine. That isn’t going to work for most people. It’s not the best strategy even for the naturally good LSATers, either. If you want to be a race car driver, you don’t start off racing in F1, do you? You don’t. That’s the best way I can think of to end up dead. LSAT study is the same way. You have to learn how to do things right before you speed it up. Here’s our study schedule that discusses when to add the time component. When you do questions, always mark any that you find difficult. Then, BEFORE YOU LOOK AT THE ANSWERS, review these questions. This means you carefully redo them and think about the best way to approach them. This may mean you have to go back in your prep books and relearn some techniques as needed. Here’s why this is necessary? Look straight at the answers and really you might as well be throwing darts at the answers. Yeah sometimes you’ll get lucky on hard questions but did you really learn anything from it? Make sure for each and every difficult question you can tell yourself why you think each other answer is wrong and why the one you’ve chosen is better. THEN, AND ONLY THEN, LOOK AT THE ANSWERS. Click here for a full strategy for effectively reviewing questions. Do this and you’ll be getting twice as much out of each section you do. It will be time-consuming at first, but eventually you will need to mark fewer and fewer questions as ‘difficult’. Always review any question you got wrong, whether it was hard or not. You’ll start to see patterns and will learn to spot the traps that get you ahead of time. Common advice is to find a place to study that mimics the testing room environment. That’s a great idea, however, for the first month I think you are better off studying in absolute quiet, mostly free of distraction. A law school library is great if there is one near you. Any college library will have quiet floors and not so quiet floors. Start your prep on the quiet floors where you can focus. Taking breaks is absolutely necessary part of studying. Your brain, and along with it your capacity for focus and attention has to recover. I played a lot of guitar hero in between LSAT sections, because it was 2008 and that’s what people did back then. The problem with guitar hero was that it’s a little tough to put down. You want breaks to stay short, not spin out into half-hour TV breaks every time. If I’m prepping for five hours, I’m going to try to take maybe 4 or 5 ten minute breaks. This sounds obvious, but not everyone does it. Yes, it’s fully okay to try some questions out and we do recommend doing a cold diagnostic as the first step in your prep. However, after that, hit the prep books before you do any more practice questions. Don’t waste time with material from garbage prep companies either. Here are my fully non-biased recommendations (I don’t get money from anybody for making these recommendations): PowerScore, Blueprint, Manhattan, and Fox Test Prep. These are all LSAT-only prep companies or they started with the LSAT. That generally ensures they know what they are talking about. Avoid Kaplan and Princeton Review. I don’t think it’s a good idea to partner up for every LSAT study session — it’s too easy to lose focus. However, once a week or thereabouts get together with someone else who is prepping and go over a practice test or work on questions then review them together. It’s a great way to keep each other on task. Tell your buddy what you are planning to get through each week and you’ll be that much more likely to have done it when you meet up next time. 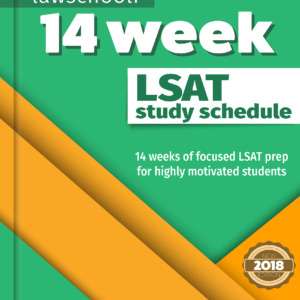 This post has the LSAT prep books that we think are best right now. We all have days where we can tell nothing productive is happening. If it’s clear you aren’t focused after you start prepping on a given day, just put it down. Improving on the LSAT requires your focus and attention. Don’t waste good material working on it when you aren’t focused. Sure on some days you might need to push through even though you are feeling blasé, especially if it’s happening twice a week or more. Now, If you aren’t feeling focused 4 out of 5 days, we’ve got problems. That might be an indicator that your heart isn’t in this and you should postpone taking the LSAT. The flip-side of this is that you will likely notice days where you are really on top of it and studying might even feel “fun” (or something close to fun). On these days keep studying, even if you have already done what you planned to do that day. This can be a good way to develop the frame of mind you need to do your best on test day. Say you are struggling with ‘Must Be True’ questions, a type of question on the logical reasoning section. Unfortunately, it’s not very likely that there is some huge secret that you haven’t learned yet that will help you break through and get all these right. More likely, the problem is that you just haven’t learned what you have already studied! Go back frequently to the prep books such as the Powerscore Logical Reasoning Bible when you run into these problems. I was consulting these books every single day for at least the first half of my prep. Basically I could have recited parts in my sleep by the end of my prep. Only when you’re confident you have taken that advice to heart and mastered it should you consider going elsewhere for more advice. However, chances are you won’t be having too many problems by then. Think about whether you are really paying attention to what the prep book says. Once you’ve picked a good prep book, follow its advice to the letter. A lot of research and effort has gone in to these books to figure out what works best. Use it. I see a lot of LSAT students say “I’m going to study for the LSAT four hours a day everyday for the next three months!! !” That’s a good attitude, but efficient study is about creating quality study, not just going for volume. With that in mind, I think it’s way better to alternate intense study days (3-5+ hours of study) with lighter ones (1.5-3 hours). This combats burnout and helps ensure you get more out of your long study days. Don’t forget the all important day-off either. Every week there should be one day where you don’t even think about LSAT prep. Trust me, the recharge time is worth way more than any extra study you get out of prepping that day. Also, a study recently showed that meditation led to greatly increased performance on standardized tests. Younger me, studying for the LSAT in 2008 would have thought that meditation was silly. That was then. Now I would give it a try for sure. Don’t argue with stuff that works. Previous ArticleDo You Need To Do Extracurriculars To Get Into Law School? I will take the LSAT prep-course with Powerscore 4 times a week and will take the exam in February. Can you recommend how many hours aside from the class I should allocate per week on my own? 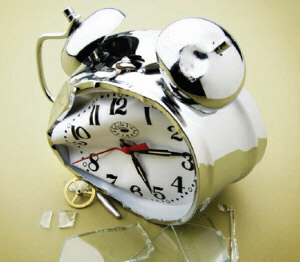 I was thinking 5 hours per day with 1 day to rest.